Debra A. 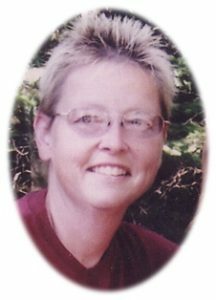 “Deb” Schmitz, age 57, of West Bend, WI, formerly of Port Washington, WI died peacefully Monday, May 22, 2017 at The Kathy Hospice in West Bend. She was born on November 7, 1959 in Port Washington; daughter of Jerome and Josephine Fechter Schmitz. Deb grew up on North Webster Street and graduated from Port Washington High School, class of 1978. During high school Deb enjoyed music and band. She was a member of the Windjammers Drum and Bugle Corps and the Pioneer Drum and Bugle Corps from 1973 until 1979. In 1983, Deb received her Bachelor’s of Science degree in Nursing from the University of Wisconsin-Milwaukee. She later received her Master’s degree in 1998 from the same institution. For the last 17 years, Deb was a Clinical Nursing Instructor at the various Moraine Park Technical College Campuses in Southeastern Wisconsin. She taught and supervised junior and senior nursing students in medical-surgical and rehabilitation hospital settings. Prior to her teaching, Deb was a Registered Nurse at various hospitals in Milwaukee such as Sacred Heart Rehabilitation Hospital, St. Joseph’s, St. Michael’s and St. Mary’s Hospitals. She had been an Emergency Medical Technician, ACLS Transportation Nurse and Operations Manager for Vital Care Ambulance Service of West Bend throughout the 1990’s. Deb always had a great love for animals. Her pride and joy were her Golden Retriever pals Rudy and Hogan. She valued these animals and volunteered with Golden Retriever Rescue groups. Summer was not complete without a week at a dog camp like the Dog Scouts of America. She will also be remembered for her true Green Bay Packer spirit. Deb was a member of Phi Kappa Phi, the National Registry of Emergency Medical Technicians, the University of Wisconsin-Milwaukee Alumni Association and the Wisconsin Emergency Medical Service Association. She is survived by her brothers Dave (Betsy) Schmitz of Saukville and Dennis (Connie) Schmitz of Random Lake; her partner Martha Garske of Wauwatosa; her dear friends Marge Spieth, Barb Theisen and Pat Hrobsky; aunts, uncles, other relatives and friends. Deb is preceded in death by her parents and her canine pals Rudy and Hogan whom she will meet at the “Rainbow Bridge”. Funeral services will be held 7 pm Tuesday, May 30, 2017 at the POOLE FUNERAL HOME/Crematory, 203 N. Wisconsin Street, Port Washington, WI. Deacon Ralph Kornburger will preside. Visitation will take place from 4-7PM Tuesday prior to services. Interment will take place at St. Augustine Catholic Cemetery in the Town of Trenton. Memorials to the Wisconsin Humane Society Ozaukee Campus, 630 W. Dekora Street, Saukville, WI 53080 or the American Cancer Society are appreciated. I knew her for many years through dog camps we use to attend together. Shocked to read of her passing. I enjoyed her friendship and will truly miss her. Debbie was an awesome cousin. Her talents and the love for life will be missed. Our prayers will always be with her. Deb will be sadly missed by all who knew her. She always made us smile and laugh with her sense of humor. What a great person! I have many great memories to cherish. She left us way too soon.